18th of August, Lagos, Infinix Mobility marked a significant turning point in the telecommunication ecosystem. In collaboration with Google, the No.1 Internet giant. Not only that, Infinix Mobility also released Infinix Hot 2 as the 1st official Android One product with lollipop 5.1 in Africa. In only three years, Infinix Mobility has built a strong reputation in the Nigerian market and more globally from the East to the West of this world; including Middle East, Europe and South East Asia region. A successful brand is built by people who know the industry; otherwise brand comes and disappears as fast as it comes. No High-tech companies are reaching their goals without any strong overview of the market. Infinix Mobility has settled its benchmark and here is how. Infinix Mobility is a Hong Kong based company with headquarter in Shanghai for its research and development center (R&D) and Paris as design center. Shenzhen, the electronic hub of the world, is Infinix's production center. To have a better understanding of Infinix Mobility is to see that its success definitely comes from experienced executives of this industry. Benjamin Jiang, CEO of Infinix mobile, is a graduate of Art from the Hefei University of Technology, China. It may answers questions around why Infinix smartphone designs are so trendy, catchy and unique (i.e. Infinix zero 2 made of Kevlar). 2003,Benjamin Jiang joined Bird Co., Ltd. Chinese mobile phone pioneer as Head of project Management. The following year, the company was listed in Shanghai Stock exchange. In 2009 the company received a government subsidy of 14 million Yuan. By 2007, Infinix Mobility CEO joined Longcheer holdings a leading Chinese mobile handset design house as GM of International Business Unit. Since 2012 Benjamin Jiang is now CEO of Infinix Mobility. Infinix Mobility: the No.1 online smartphone brand in Africa and Emerging Market is finding the right partners at the right time and an the right place and all of these have partly contributed to the company's successes. 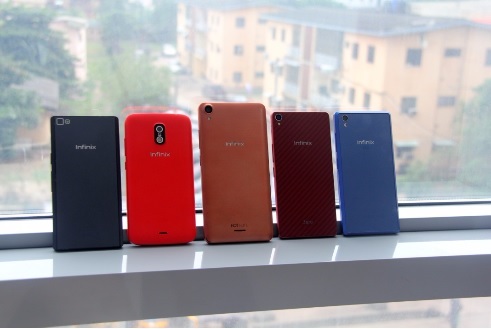 When Infinix launched the Infinix Zero with Konga.com last year, it made Infinix Zero the No. 1 and best selling online smartphone in Africa. 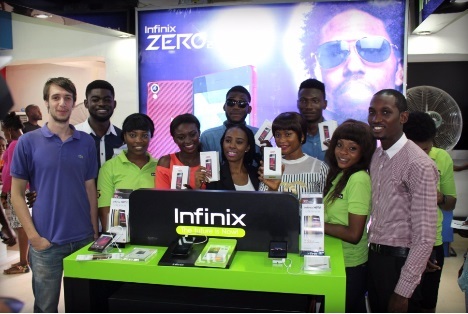 Nigerian consumers loved the Infinix Zero and bought 150,000 units. the device is made with superior materials—gorilla glass and sporting an octa-core processor from Mediatek, a HD screen and a 13 MP camera with flash LED. The device brings innovation to Nigerian market. The success in Nigeria was later extended to East-Africa and Middle East. 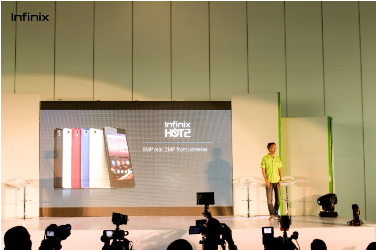 In November 2014, the smartphone manufacturer set Christmas mood with Infinix HOT. The device seems to match Nigerians taste of 5.0 inches screen, pocket friendly and came inmultiple colors—yellow, red, white, black and pink—with a record sale of 100 000 units after launching. The worldwide German statistics institute Gesellschaft für Konsumforschung showed that Infinix HOT raised the bar and surpassed brands like Samsung and Nokia in Q1 2015. Infinix Mobility partnered with Google, Jumia and MTN; three pillars of the High-tech ecosystem in Nigeria followed by the launch of Infinix HOT 2, the 1st official Android One product with lollipop 5.1 in Africa. Moreover the device comes with a 2GB RAM which will be a standard for the market. The operating system will be getting an update to the latest Android version up to two years. With the Hot 2, the largest African operator MTN is offering 1GB data for 500 Naira to fit consumers need in data connection. Finally HOT 2 has break new records with 30 000 units sold online in seconds. Infinix Mobility willing to focus on Africa: Yes we care! Customer care is the No.1 concern of Infinix Mobility. The company is controlling the space with more than 100 service centers across Africa with bringing support to its end users. From East to West of Africa, users are able to find professional support through service centers. Most products are providing a 365 days warranty which allow consumers to get customer service from 400 engineers and technicians. With more than 10000 distribution channels, Infinix Mobility ensures the supply of its devices to billions of Africans. Infinix and its service centers are bringing to African smartphone users what other brands don’t. In conclusion. Infinix Mobility is a fast growing smartphone company that will continue to innovate, bring quality smartphones to its numerous customers for a price that will be very affordable and fair. we feel the information Infinix Mobility strives for the Africa's number one smartphone position that's all. hopefully the information Infinix Mobility strives for the Africa's number one smartphone position that we have conveyed can provide benefits for you and all visitors of this blog, if any criticism and suggestions please comment. you just read Infinix Mobility strives for the Africa's number one smartphone position if this article is considered useful and you want to bookmark and share it please use the link https://stephaniefulke.blogspot.com/2015/09/infinix-mobility-strives-for-africa.html and what if you want other information look for another page in this blog.